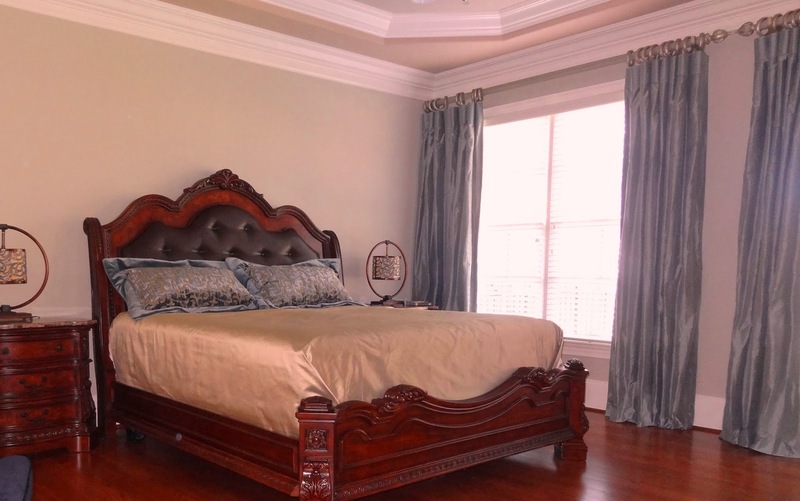 A master bedroom should feel more luxurious than the other bedrooms in the house. 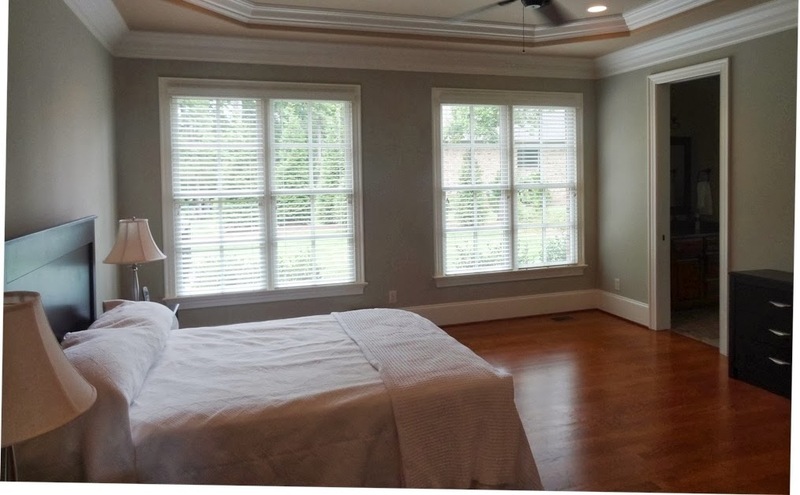 When we first toured the home below, it wasn’t obvious if the room was a guest room or a master bedroom. With the addition of custom bedding (shams and duvet) and functioning drapes, the room felt more luxurious. be sure to email us instead. I like the the sitting area with the cocktail ottoman. It's very cozy.